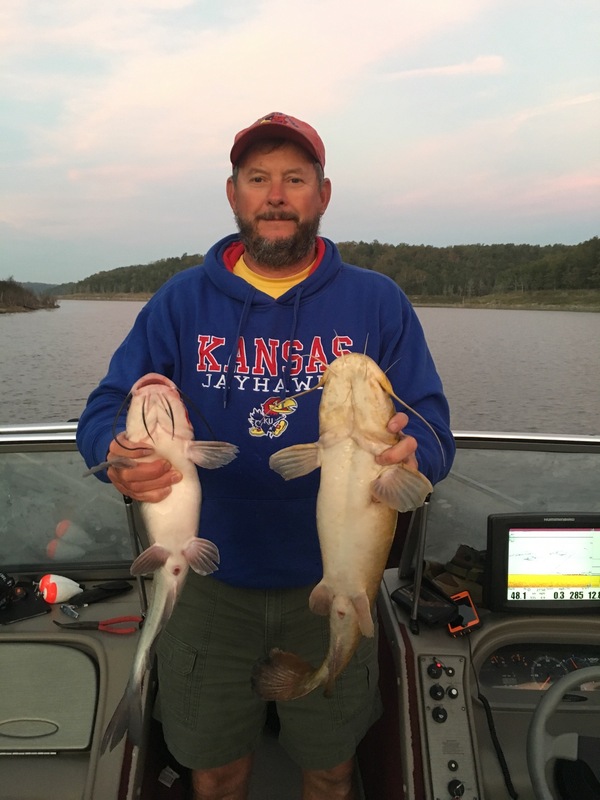 Norfork Lake is still entering the beginning stages of the fall fishing pattern, but this is unusually late compared to prior years. The warmer than normal ambient temperature has kept the lake water warmer for a longer period of time this year. A positive note is that I finally recorded 69 degree water outside of Hummingbird Hideaway's cove this morning. The surface water temperature is dropping a little each day. The lake is slowly turning over and has good oxygen down to 65 feet with the water temperature approximately 70 degrees from surface to 65 feet. A complete lake turnover will be complete very shortly. 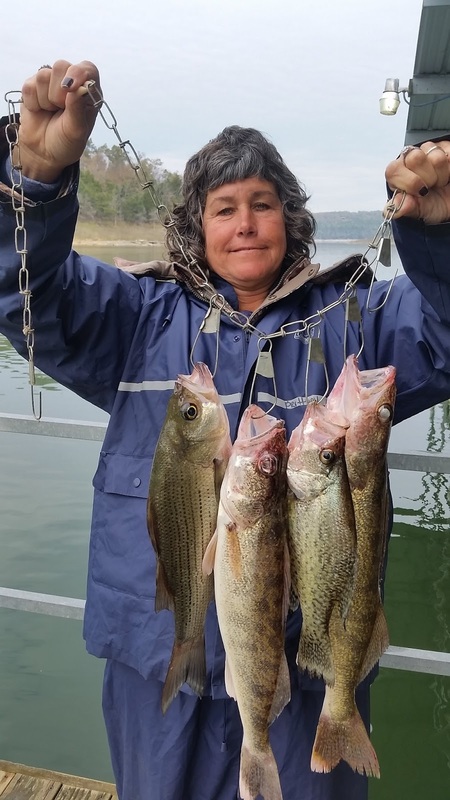 A big thank you goes out to the Norfork Lake Striper Club for collecting this water data and distributing it to its members. 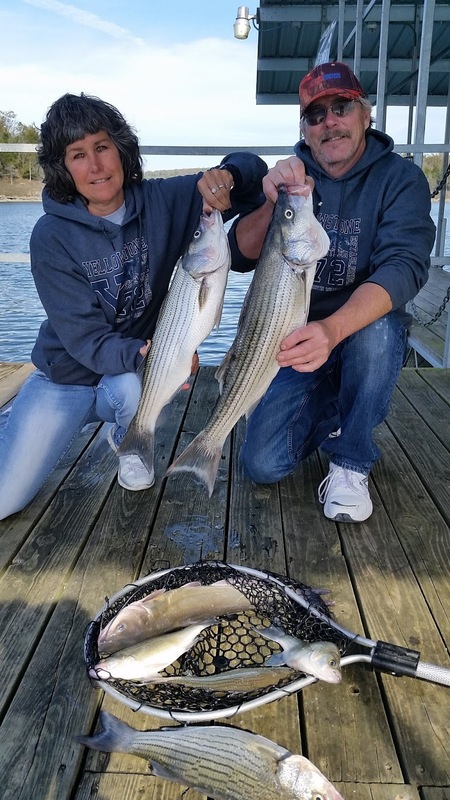 Striped bass fishing is slowly picking up close to Hummingbird Hideaway Resort each day as the water cools. 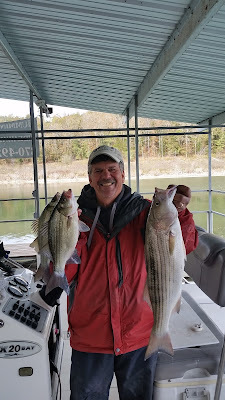 I am finding feeding stripers in 35 - 40 feet of water on large flats at sunrise then again in the afternoon. I have also found large schools of big fish lying on the bottom in 55 - 65 feet of water outside of the old river channel, but these fish are not feeding. I believe they are conserving their energy waiting for cooler water. Striped bass like water temperatures in the lower 60's. In mid to late September the stripers that were in the dam area moved north. Some move up river to the AR/MO border to the cooler water and others move out to the deepest coolest water they can find that they can survive in. Once these deep fish feel the water is cool enough for them, they will start to feed heavily and this is what I really call the fall pattern and things will get real exciting. It won't be long. 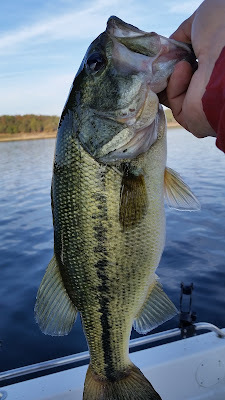 I am also starting to see some signs of top water action mainly for white bass and largemouth and spotted bass. This top action will increase with the cooling of the water and the striped bass will also start coming up to the surface. Walleye fishing has also been picking up again. Today we vertically jigged up 8 walleye, but only two were keeper size. I am finding this species in the same location where I am fishing for stripers, 35 - 40 feet of water on large flats. Dragging a crawler harness or a drop shot rig with a crawler or minnow will also pick up some nice fish. 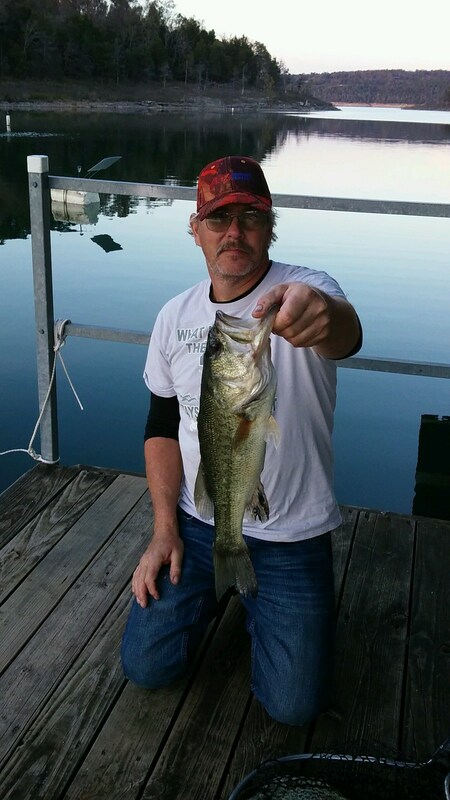 Largemouth and spotted bass fishing has also been good. There has been some top water action after sunrise around the bridge columns and also on rock bluff line points. These are sporadic and may not occur every day. I have found some nice fish on the bottom off of bluff line points in 20 - 30 feet of water and also hanging around 30 foot brush piles. Crank baits are picking up lots of fish with most being on the short side, but there will be the keeper in the mix. Jig and pigs and plastic worms are also working in 15 - 30 feet of water. 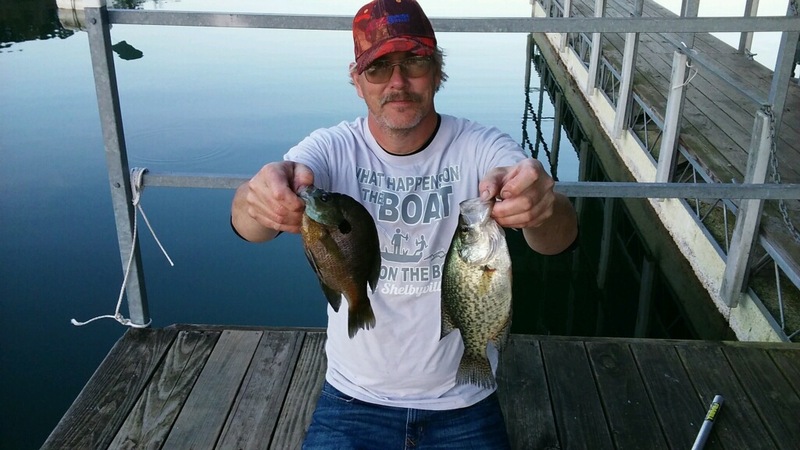 Crappie fishing has been picking up on brush piles in 30 - 40 feet of water. This species will be at all depths over the brush or right inside of it. Catfishing with jugs has been working well. 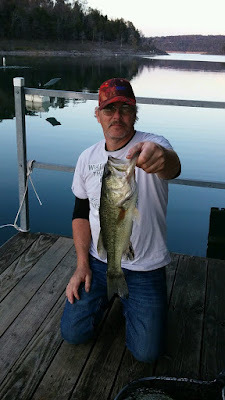 Several of my guests caught quite a few quality fish using night crawlers. They set their jugs in 30 - 40 feet of water. Norfork lake level is holding fairly stable at 552.6. The surface water temperature is slowly falling and was at 69 degrees this morning. The lake starting at the bridges and up north to MO and Bennett's area is stained, with the main lake slightly clearer. The lake is clearer as you head south.